When I first started thinking about catholicbeer my initial vision was something that would change peoples lives and create a learning community. Charity - We intend to expose Beer enthusiasts to, and organize them for the benefit of, various charitable, civic and compassionate causes, offering our members the opportunity to contribute collectively or individually. Although we started out as a local organization in the Seattle, WA, we have attracted the attention of beer enthusiasts around the world with our Web site. We believe that beer's worldwide popularity can and should be used to band people together for the benefit of society as a whole. The Web Site - It is the goal of Beer Church to provide a fun,informative and useful Web site for persons all around the globe who are interested in and passionate about beer. 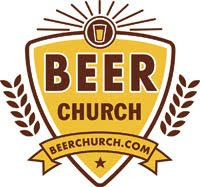 The Beer Church Web Portal is intended to help individuals congregate into local groups and advance the mission of Beer Chuch. The Web site is an evolving expression of our membership's needs and wishes. All suggestions will be welcomed and sincerely considered so that we may better serve the Beer enthusiasts of the world. Civic Responsibility - We believe in promoting responsible fun. Beer should be part of a recipe for positive social activity, but is too often used as part of a recipe for disaster. We urge everyone to be personally responsible all of the time. Anything else is disrespectful of yourself and your community. I find this combination of beer and charity most refreshing and definitely in the spirit of the monastic traditions of beer brewing. Very cool Beer Church! I will definitely being getting involved and checking out the local Beer Church scene. Check for Beer Church in your local area! Pour one for the poor! I'm fascinated. Let's become ordained ministers post haste!